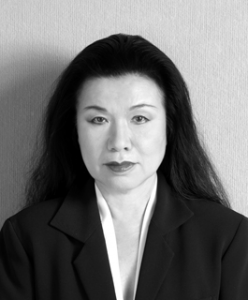 Ishioka, who died of pancreatic cancer on Jan. 21, 2012 at the age of 73, won an Oscar in the same category for “Bram Stoker’s Dracula” (1992), directed by Francis Ford Coppola and starring Gary Oldman, Winona Ryder and Anthony Hopkins. Directed by Tarsem Singh, “Mirror Mirror” is a comedy/fantasy based on the “Snow White” fairy tale, featuring Julia Roberts as the evil queen, Lily Collins as Snow White, and Armie Hammer as Prince Alcott. Competing with Ishioka for the costume design award are Jacqueline Durran for “Anna Karenina,” Paco Delgado for “Les Misérables,” Joanna Johnston for “Lincoln,” and Colleen Atwood for “Snow White and the Huntsman” (a darker take on the fairy tale, starring Kristen Stewart, Charlize Theron and Chris Hemsworth). Ishioka’s other film credits include “Immortals” (2011), “The Fall” (2006) and “The Cell” (2000), all directed by Singh and the latter starring Jennifer Lopez; “Theresa: The Body of Christ” (2007), starring Paz Vega; “Closet Land” (1991), starring Madeleine Stowe and Alan Rickman; and, as production designer, “Mishima: A Life in Four Chapters” (1985), directed by Paul Schrader and starring Ken Ogata as novelist Yukio Mishima. Ishioka also won an award at the Cannes Film Festival for “Mishima” and was a member of the jury at Cannes in 1996. 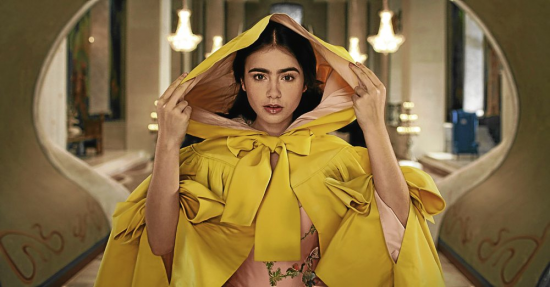 Her designs can also be seen in the permanent collection of the Museum of Modern Art in New York; the poster for Expo 1970 in Japan; the costumes for Cirque du Soleil’s “Varekai,” the Broadway musical “Spider-Man: Turn Out the Dark,” and the opening ceremony of the 2008 Summer Olympics in Beijing; and Björk’s music video “Cocoon,” which she directed. Ang Lee’s “Life of Pi,” based on the novel by Yann Martel, received 11 Oscar nominations, second only to Steven Spielberg’s “Lincoln,” which received 12. “Life of Pi” was nominated for best picture, cinematography, directing, film editing, music (original score), music (original song), production design, sound editing, sound mixing, visual effects, and writing (adapted screenplay). Lee’s “Crouching Tiger, Hidden Dragon” (2000) won the Oscar for best foreign-language film, and he won the directing award for “Brokeback Mountain” (2005). The awards ceremony will be held Feb. 24 at Hollywood’s Dolby Theatre, and will be aired live on ABC. For the complete list of nominees, visit http://oscar.go.com.